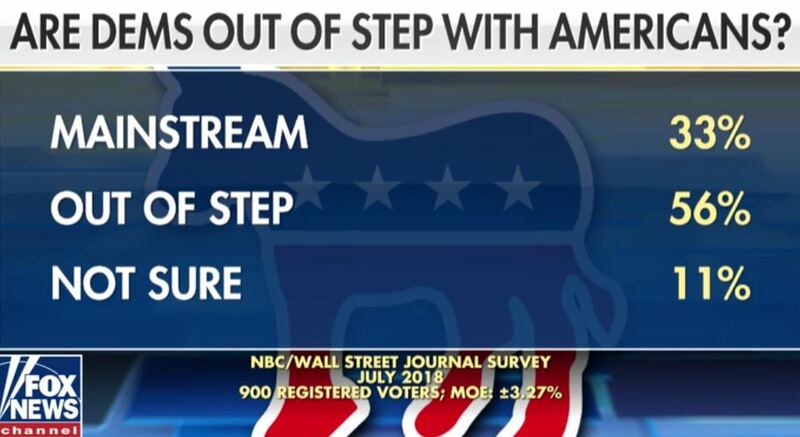 In a recent NBC, WSJ poll, 56% of American polled believe that the Democrat party is out of touch with Americans. With Democrats wanting to abolish ICE, being more pro-illegal than US citizen, being against the Trump tax cuts, being against an economy what has lowest numbers ever for black and Hispanic. Democrats are making Democrat socialist and political know-nothing novice Alexandria Ocasio-Cortez the future of their party. Even Democrats are having an issue with that. 42 Democrats socialist are running in 2018 and the Democrat talking head in the below video blows it off as nothing. 42 folks, that is an astonishing number. They claim that it is only a few fringe Democrats that are calling to abolish ICE. Really? Since when has the Democrat Senator from New York Kirsten Gillibrand been a fringe candidate? It is obvious that the Democrat party has lost touch with Americans, and they fact that they cannot see or accept this is the very reason why they cannot get over the fact that Donald Trump defeated Hillary. BROUGHT TO YOU BY THE SAME PEOPLE WHO SAID HILLARY CLINTON WOULD WIN IN A LANDSLIDE …. This bias and liberal MSM are now trying to tell Americans that as the GOP looks to repeals Obamacare, that the failed so-called Affordable healthcare plan has never been more popular. According to a recent NBC News/WSJ poll, Obama care is suddenly more popular, as opposed to the reason why millions of people voted for Trump to repeal it. 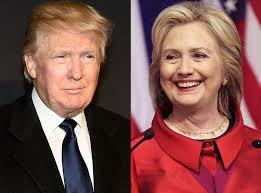 A note to the liberal MSM, an election defeats a poll. Donald Trump ran on the fact that he would repeal and replace the failed Obamacare system. The American people embraced that and wanted it done. No skewed poll is going to change that. The people spoke … this poll is irrelevant. 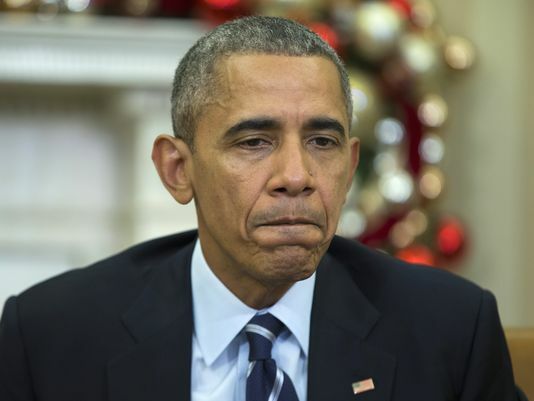 As Republicans get closer to repealing it, President Barack Obama’s federal health-care law — or Obamacare — has never been more popular, according to results from a new national NBC News/Wall Street Journal. And half of Americans — 50 percent — say they have little to no confidence that Republican proposals to replace the law will make things better. The poll finds 45 percent of respondents believing that the health-care law is a good idea, which is the highest percentage here since the NBC/WSJ poll began asking the question in April 2009. 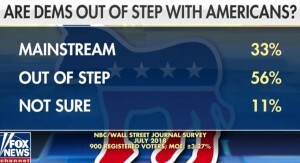 Maybe all of the elites at NBC and the WSJ should be put on Obamacare and we shall see if they believe the bovine scataology of their own poll.